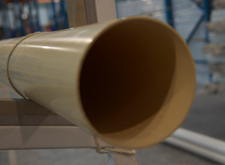 Soil, Vent and Waste pipes are designed for use above ground and in direct sunlight, for the conveyance of waste water from sanitary fixtures and as vent pipes for the admittance or expulsion of air in drainage systems. 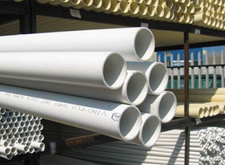 Sewer and drain pipes are designed for the conveyance of sewerage and are intended for use in buried applications. An electrical conduit is an electrical piping system used for protection and routing of electrical wiring. 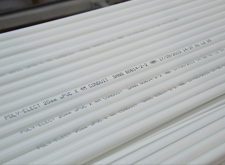 We are ardently engaged in the production of a qualitative range of Conduit Pipes that are manufactured using advanced technology as per the preset SABS norms. In addition to a range of pipes and fittings, PolyMax also offers a range of useful plumbing accessories of the highest quality and standards to provide an overall solution to your plumbing and construction needs as well as to support the maintenance of your pipe systems. 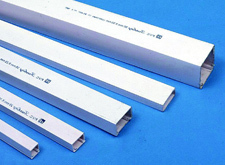 We are one of the prominent names engaged in offering our clients with Electrical Trunkings. 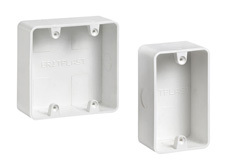 These are immensely accepted among our clients for their easy usage, dimensional accuracy and minimal maintenance requirements.